Tucked away in five acres of luxuriant gardens and rainforest trees, Koompartoo Retreat consists of four superb architect designed chalets crafted from local hardwoods with polished timber floors, oiled timber walls, stained glass windows and wide shady verandas. Warmly and individually furnished, the open plan chalets are self contained with private bathroom and fully equipped kitchenette which incorporates all of life's vital necessities... coffee plunger, champagne glasses, and candlelight. The lounge/dining area has a TV, DVD, CD/radio, Ipod Dock, books and magazines. . There are four chalets, air conditioned/heated for your comfort, all with queen size beds and three have an additional single bed in a curtained alcove. Guests are pampered with quality linen, fluffy towels, toiletries, hairdryer and fresh flowers. * A short stroll to the town centre of Bellingen where you will fine some of the best restaurants, cafes, craft shops and art galleries on the north coast. * Large shady deck complete with outdoor furniture and gas bbq for those alfresco dinners. * Amazing birdlife, heaven for birdwatchers. Tariff: $225 - $240 per chalet per night for two persons. Cancellation: Seven days notice is required unless otherwise stated. ***SPECIAL PACKAGE*** stay one week pay only for six nights!! Conditions apply! Not available during the Christmas/New Year holidays! Packages are available for longer stays. The historic town of Bellingen situated halfway between Sydney and Brisbane is one of the most beautiful towns on the North Coast. Green rolling hills and valleys link the mountains to the sandy beaches of the Pacific Ocean. The retreat is lovely, cabins are cosy but gorgeous and with three adults we had more than enough room. Erika's recommendations on places to check out and eat/drink were all bang on. Big props all round. So happy to hear you enjoyed your stay at Koompartoo Retreat and also enjoyed all that Bellingen has to offer! 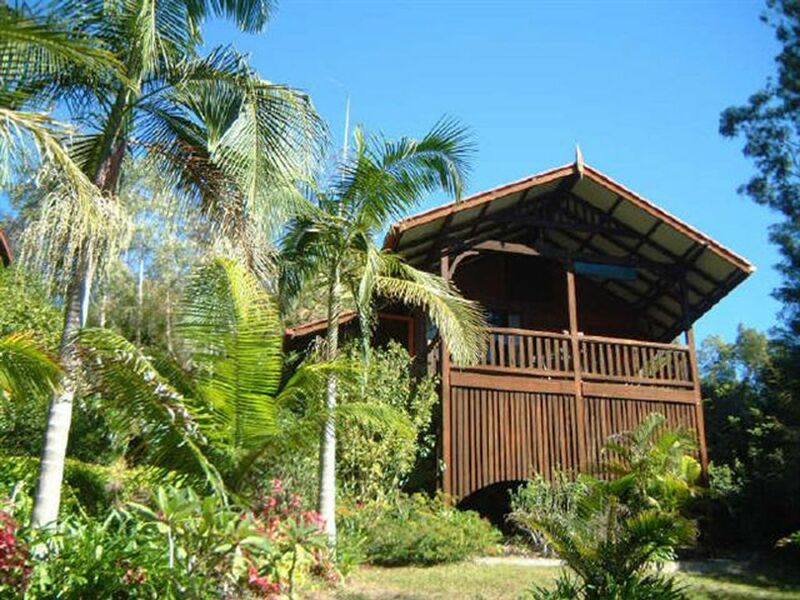 A perfect hideaway when visiting Bellingen. Quiet and private, hidden in a tropical garden. You wake up to the sound of the birds, and no other noise. The cabin itself is well thought of, and all details have been perfected with lots of love. 10 minutes walk from town centre makes it ideal for an easy stroll. We had a lovely stay, gorgeous cabins, and fabulous location a short walk from in town. Local information provided which allowed us to do some great activities with our short amount of time in the area. Highly recommended! Thanks so much Erica, we loved Koompartoo, and Bellingen is just beautiful, looking forward to coming back. We loved our stay even with a little one. everything about Koompartoo Retreat and Bello/dorrigo was just amazing.